Dalian is another coastal town - and while with a bit of imagination and a pair of binoculars, this one also can see the sea, this is not 'right on the coast!' 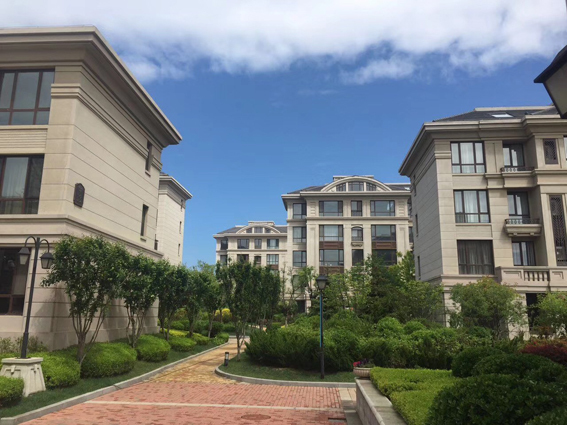 In an up-and-coming region just outside of Dalian City, this is a single floor apartment with an attic. The single floor has two bedrooms, bathroom, kitchen/diner and lounge - which will be where they live, and the attic is being converted into a living room, bedroom, and bathroom as a 'guest suite' which is where we'll be staying when we visit! So, the deal is - they are choosing all the fixtures/fittings/furniture downstairs - but upstairs is up to us! No pics yet - they should start appearing Summer 2018 when we will be over to get it all finished!